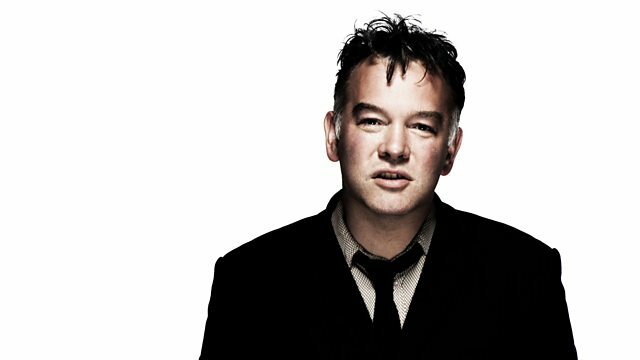 Comedian Stewart Lee sits in for Stuart Maconie with his own selection of weird and wonderful records, including an exclusive first play from the forthcoming Fall album. Comedian Stewart Lee presents the Freak Zone with his own selection of weird and wonderful records including an exclusive first play from the forthcoming Fall album. Plus tracks from Buffy Sainte-Marie, The Bohman Brothers and the title of the week goes to a new compilation The Ecstasy of Gold: 31 Killer Bullets From The Spaghetti West Vol. 5. The Ecstasy Of Gold: 31 Killer Bullets From The Spaghetti. Little Wheel Spin And Spin. Nothing More : The Collected Fotheringay.